CHIP DURPO PROFESSIONAL COMMITMENT: I vow to provide prompt, professional real estate services, and to go the extra mile to ensure the sale of your current home or the purchase of a new home is handled professionally, smoothly, and to your complete satisfaction. The trust you place in me I do not take lightly. 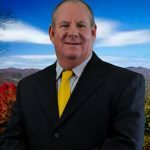 I have worked hard to earn and maintain my reputation as a confidential, trustworthy, honest, and reliable real estate agent..
Chip Durpo, REALTOR, Serves Northeast Georgia and Southwest North Carolina. © 2018 Chip Durpo. All rights reserved.